The Pizza service isn’t a 24 hours service although it’s possible to call 24 hours a day and the message that the Pizza is being delivered appears immediately after ordering. Pizza delivery is only active from 8 am to 2 am. 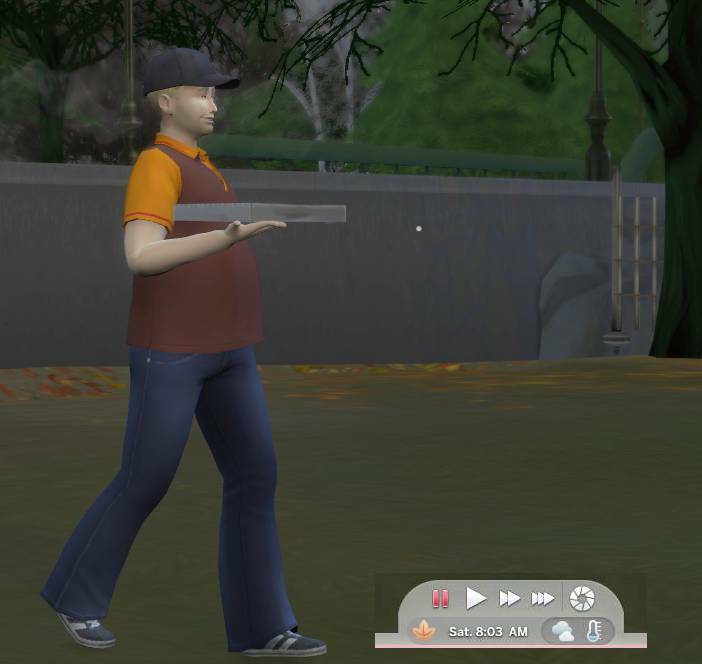 In the course of the years there have been several bugs with the pizza delivery such as the pepperoni pizza never being delivered but those should currently all be fixed. If you order your Pizza after 2 am in the morning, it will be delivered after 8 am. At that time you should received promptly. LittleMsSam’s Food Delievery Service not only allows more food variations but also has 24 hour delivery.